FCT Surface Cleaning will clean and restore any area in the home, business, or other crime or trauma scene that has been affected by the presence of biological, infectious or toxic waste. Incidents requiring cleaning such as homicide, suicide, unattended deaths, cases of assault, industrial accident, clandestine laboratory contamination, hydroponic cannabis set ups and cell cleaning. On the odd occasion, there are times when a professional cleaner urgently needs to be called. This can often be in the case when a crime scene clean (otherwise known as a biohazard cleaning or trauma cleaning) is needed. This can include times where there has been an accident and there may be blood which can make the everyday person feel nauseas. Other times, there may be some kind of chemical spill which needs to be cleaned up as soon as possible as it is not safe. Any other bodily fluids or potentially infectious materials are also included in biohazard cleaning. This type of cleaning service needs to not only be dealt with quickly but also professionally and with delicacy. When there are insurance companies and police involved, the cleaning company needs to diligently work around and with them in order to make sure the issue is cleaned up quickly and legally. Documentation and receipts of the clean may need to be provided and our team here at FCT Cleaning are more than happy to provide this. We are also able to perform the clean incognito and ensure that the whole process is conducted confidentially. This is one of the reasons why it is so important to seek the help of a professional team when it comes to biohazard cleaning. How is FCT able to help? FCT Surface Cleaning provides a professional valuable twenty-four-hour service that spares family, friends, employers and employees the painstaking burden of cleaning, disinfecting and deodorizing. Our staff will rid the scene of any unwelcome or unpleasant reminders. 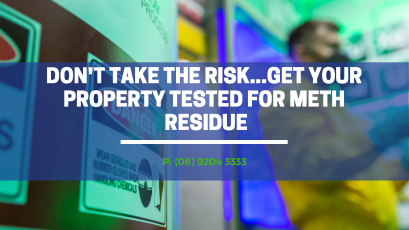 We have the resources to deal with most bio-hazardous incidents. Our decontamination team is ready to go at a moment’s notice to respond to your needs. All FCT Surface Cleaning equipment is OH&S approved and is regularly checked and serviced with our ongoing maintenance program. FCT Surface Cleaning is able to check for Meth in your premises. While there are many different cleaning companies out there, we are confident that we are the best in the business for a number of reasons. First of all, we are a completely mobile service. This means that you don’t have to hire heavy equipment yourself and find a way to bring it to the site and return it later. We can easily and quickly attend any location in Perth and surrounds to ensure that any issue is taken care of diligently. We also have over twenty years of experience in the field. This means that we have seen almost every situation possible and we know how to effectively deal with it. We are the preferred company to use for many insurance companies, schools, and government agencies and for good reason. Not only do we have trusted staff that offer an amazing service, we also have extremely competitive prices. As if all of that isn’t enough, we also ensure that we use the most environmentally safe products as possible. Taking care of the earth is important to us and we reflect these values in the products that we use. Furthermore, we don’t just offer one kind of service. Along with biohazard cleaning, we can also take care of fire damage, surface restoration, boat cleaning and much more. If you are urgently and discreetly needing a biohazard clean in Perth, then give one of our friendly team members a call on (08) 9204 3333 or we can be emailed at admin@fctcleaning.com.au. All enquiries are welcome, and obligation free quotes are able to be provided. In order to ensure that your clean is in the best hands possible, choose FCT Cleaning.